There's really no place like the far north of the sunshine state. Everyone knows that Cairns is the perfect spot to see the Great Barrier Reef. But if you venture a little further, you'll find that the far north has even more to offer. 1. Wander through a sunflower field. This bright and happy field of sunflowers is located in Freshwater, which is only about 20 minutes from Cairns. 2. Cool off in a refreshing waterfall. The Millaa Millaa Falls are a hidden gem in Far North Queensland, about an hour-and-a-half from Cairns. The water falls into a swimming hole that's perfect for a quick dip. 3. Or dunk in the bright blue Cardwell Spa Pools. Cardwell Spa Pool is a natural swimming hole that’s perfect for the ‘gram, thanks to its unbelievably blue water. The water gets its colour from the minerals in the surrounding ground, and must be seen to be believed. 4. Soak in the view of the rainforest from above. The Mamu Tropical Skywalk allows people to walk through the rainforest at all levels, thanks to its planned tracks and elevated viewing platforms. 5. Walk around a once-abandoned Spanish castle. Paronella Park is the remains of a castle, built by Spaniard José Paronella which opened to the public in 1935. While a lot of the castle has been destroyed by fire, floods, and cyclones, the remains are surrounded by lush greenery. You can even feed turtles and fish in the on-site waterfall. 6. Get a 360° view of Cairns from above. Cairns Zoom and Wildlife Dome offers an experience you won't get anywhere else in the city. You can walk along the rim of the dome to have a view like no other, then either walk back down or (safely) drop 13 metres onto a big trampoline. 7. And meet some furry friends while you're there. Zoom also has a bunch of Aussie animals that freely walk (or fly) around the dome. You can meet kangaroos, see a big, mighty saltwater croc, and even hold a koala, if that tickles your fancy! 8. Hang around a secluded little waterhole. The climb up to Fairy Falls can be a little steep, but it's well worth it if you like a more private swimming spot. The best part? The Falls are right by the Crystal Cascades, which only about 25 minutes from Cairns! 9. Swing on a beach that has coral for sand. Fitzroy Island is not only home to Australia's second-best beach (Nudey Beach), but it's also got a super-fun ocean trampoline and rope beach swing! Perfect! 10. Go exploring in the Cairns Botanic Gardens. If you want a taste of the beautiful greenery that Far North Queensland has to offer without having to leave Cairns, a visit to the botanic gardens is a must. 11. Raft around the rainforest and down the Tully River. Test your fitness while basking in the beauty of the rainforest by going on a white water rafting adventure. You're sure to break a sweat but, trust me, you'll feel the refreshing river water quite a bit on your trip. 12. Soak in the view at Dunk Island. Dunk Island is just a short boat ride from Mission Beach and boasts some of the best views in the far north. 13. 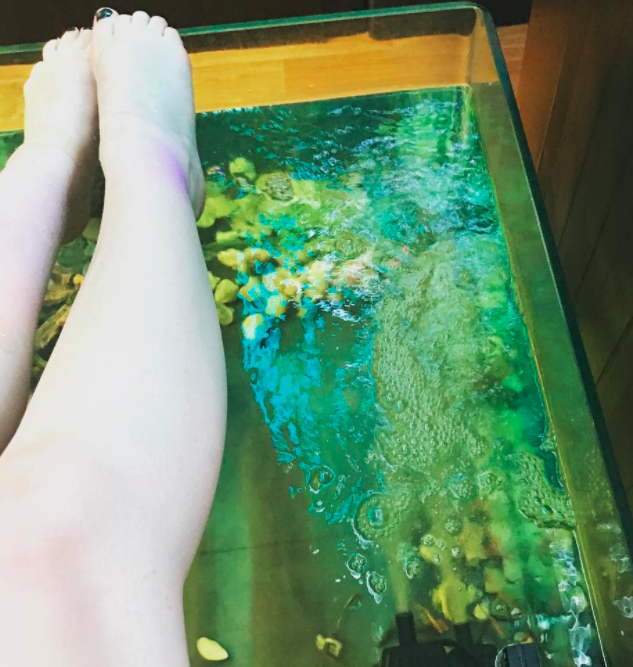 Stroll through the Cairns Night Markets and get a foot fish spa. 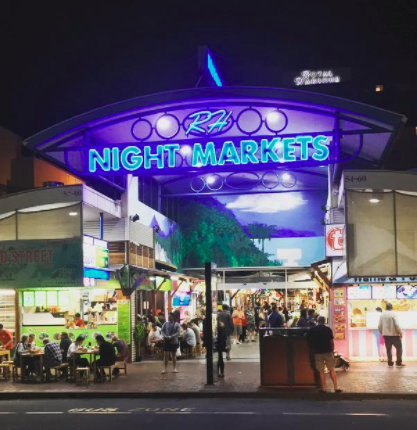 The Night Markets are the perfect spot for good food, cool trinkets, and massages galore. If you're not game for a fish spa, you can opt for a traditional one which is heaps cheap anyway. 14. And if all else fails, just stroll the Esplanade and swim in the Lagoon. It's no doubt that Cairns has one of the chillest vibes in Australia, if not the world. So don't forget to walk around the Esplanade, take a dip in the man-made Lagoon, and just sit back and relax.